Decide whether an additional review is needed for newly registered endpoint verification devices before they’re tagged as approved. 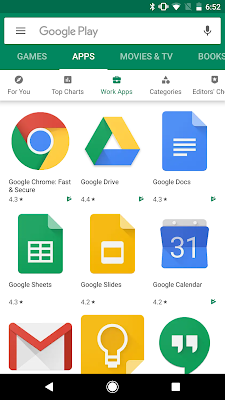 This will bring similar functionality to what’s currently available for mobile device management to desktop devices using Chrome OS or Chrome browser. With the ability to limit G Suite access for devices that use endpoint verification, admins will now get fine-grained control over managing device access beyond just mobile devices. Now, admins can view the inventory of devices that are access this data, and approve or block access to specific devices based any internal criteria. Examples include, lost devices, which can now be ‘blocked’ from accessing apps, or approving new users who need to access applications as their job titles shift. To set a policy for whether newly registered endpoint verification devices need admin approval, go to Admin Console > Device management > Setup > Device Approvals > Device Approvals. Check or uncheck the box to set a policy. This will default to unchecked, meaning that admins will not have to manually approve newly registered devices. Optionally, you can also add an email that approval requests will be sent to. Note that device access to corporate data can be configured at any time by using the Access Context Manager. For desktop devices, Admins will have the option to select Approve or Block, which will tag the device accordingly in the Access Context Manager. Approve or block actions on devices will generate an audit event within the Admin Console. For more information on audit logs for devices, see here. This launch allows you to control access for devices with endpoint verification installed. This includes Chromebooks and other desktop devices running the Google Chrome browser. When a new device is registered via Endpoint Verification, admins can turn on access restriction in the Access Context Manager. From there, they can govern device access by selecting ‘Approve’ or ‘Block’. See image below to see how this will look in the Admin console with the feature ON. If this policy is OFF, devices will be approved by default and can be blocked later on, for example, if a device is lost or a device is compromised. Admins can approve or remove access for devices in the Admin Console. A new view at Admin console > Device Management > Device Approvals will list all devices in a pending approval state. From this list, they can be tagged as Deviced/Approved — once devices are tagged, further access policies can be configured in the Access Context Manager. Admins can also get email notifications for when a device is registered but needs admin approval. See our Help Center to learn how to configure email notifications. Manual device verification will be OFF by default and can be enabled at the domain and OU level. Individual device access controls will be ON by default. New logos and design elements to increase consistency with other G Suite products and interfaces. 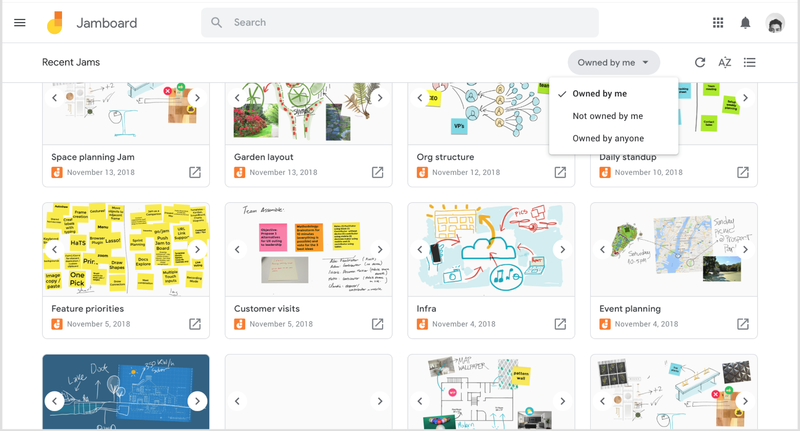 The new interface will show on the Jamboard web home page at jamboard.google.com. Rapid Release domains: Full rollout (1–3 days for feature visibility) starting on Feb 27, 2019. Scheduled Release domains: Full rollout (1–3 days for feature visibility) starting on Feb 27, 2019. 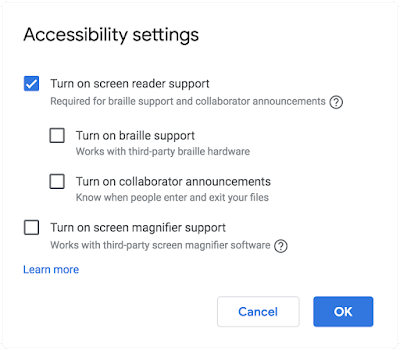 It’s now easier to discover accessibility features like screen reader support, braille support, and screen magnifier support in Docs, Sheets, and Slides. While these accessibility features were previously available, they required additional steps to access the accessibility menu. This change will make these settings more readily available by placing the Accessibility settings in the Tools menu. Access the Accessibility menu by selecting Tools > Accessibility settings. 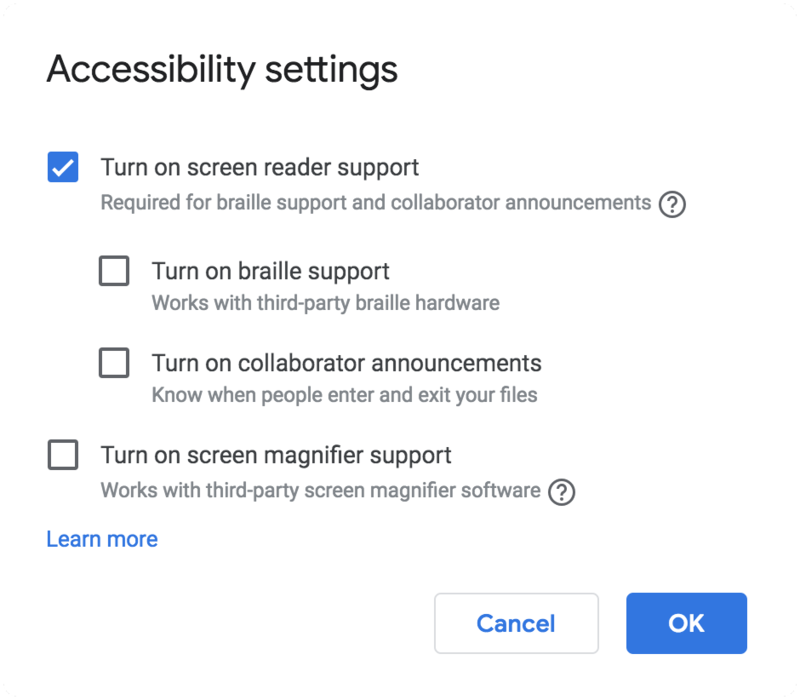 If the screen reader option is selected from the accessibility settings dialog, an Accessibility menu will be displayed at the top of Docs, Sheets, and Slides for easy access. Rapid Release domains: Gradual rollout (up to 15 days for feature visibility) starting on February 27, 2019. Scheduled Release domains: Full rollout (1-3 days for feature visibility) starting on March 13, 2019. Inserting a table of contents into a page makes the navigation of text-focused content like FAQs, documentation, or wikis easy. Editors can insert a table of contents into a page with a simple click — headings and subheadings will automatically update as content is added to the page. A table of contents also helps guide editors to organize their content in a structure that is easier for readers to understand. Site viewers can quickly navigate through sections of a page by clicking the desired heading and automatically jumping to that section within the same window. As editors add or edit the content and structure of a page, the table of contents will update automatically, making maintenance easy. By default, the table of contents will indent based on the hierarchy structure of headings, however, editors have the option to change the table of contents styling and remove indents. To remove indents, simply click on your table of contents and select Flatten. To re-indent, select Indent. To add a Table of Contents to a page, at the right, click Insert > Table of Contents. Rapid Release domains: Gradual rollout (up to 15 days for feature visibility) starting on February 26, 2019. Scheduled Release domains: Gradual rollout (up to 15 days for feature visibility) starting on February 26, 2019. Earlier this year we introduced a beta for new grammar suggestions in Google Docs. 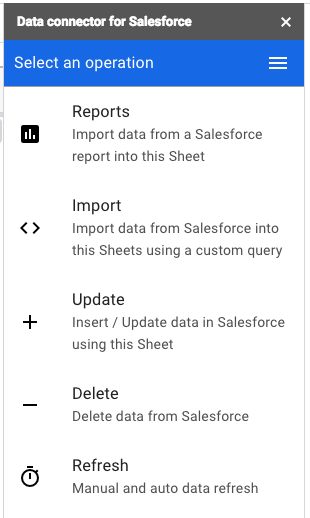 Now we’re making this feature available for G Suite Basic, Business, and Enterprise users. The new features enhance existing spell check functions and highlight possible grammatical errors in your text. We’re also introducing a revamped interface for reviewing spelling and grammar suggestions which makes it faster and easier to spot and correct errors in your text. Possible grammar corrections will be underlined in blue. To see a suggested correction or dismiss the alert, simply right-click. You will also see possible grammar errors when running a spelling and grammar check through the Tools menu. You can easily review all language suggestions for your document with the updated spelling and grammar check tool. Access it through the “Tools” menu or right-click on a suggestion and select “Review more suggestions” — you’ll see each suggestion and actions to correct any errors. To learn more about how we’re using machine learning to recognize errors and suggest corrections to improve your writing, see here. Rapid Release domains: Extended rollout (potentially longer than 15 days for feature visibility) starting on March 5, 2019. Scheduled Release domains: Extended rollout (potentially longer than 15 days for feature visibility) starting on March 5, 2019. Not Available to G Suite for Education, G Suite Enterprise for Education, and G Suite for Nonprofits. 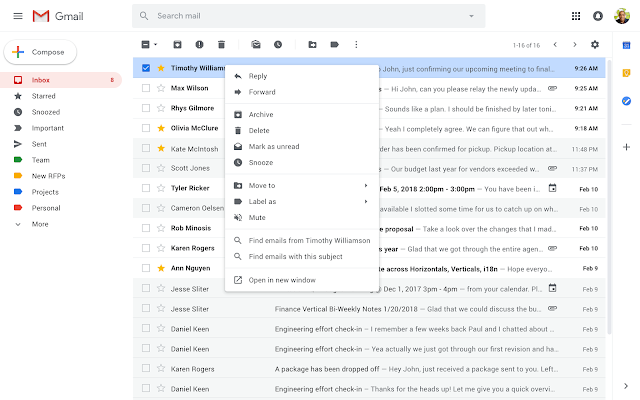 Update (Feb 28, 2019): G Suite Education and G Suite Enterprise for Education users can continue to apply for the beta of this feature. You can now access the side panel while using Drive on the web. 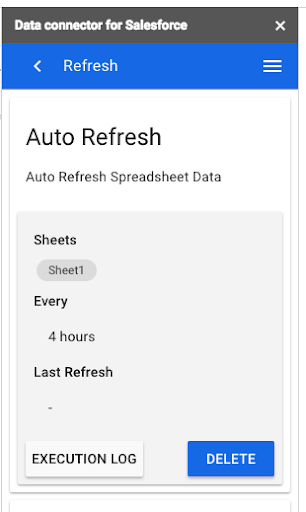 That means you can access Calendar, Keep, and Task while using Drive, Gmail, Calendar, or Editor products (Docs, Sheets, and Slides). 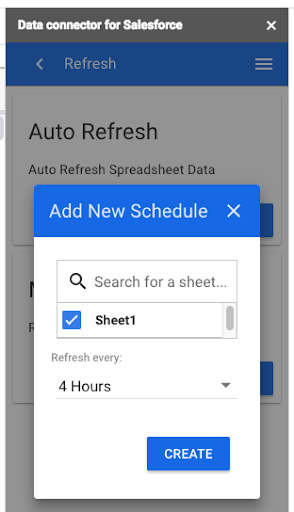 The side panel makes it easy to quickly complete tasks without losing focus — that means less switching between apps and increased productivity, whether you're grabbing information from Calendar, Keep, or Tasks. To learn more about the side panel, see here. Rapid Release domains: Full rollout (1-3 days for feature visibility) starting on February 26, 2019. Scheduled Release domains: Full rollout (1-3 days for feature visibility) starting on March 4, 2019. As we previously announced, beginning on April 16, 2019, Mail retention rules and holds will stop protecting chat messages in classic Hangouts. Instead, Hangouts Chat retention rules and holds will protect chat messages in both classic Hangouts and Chat. 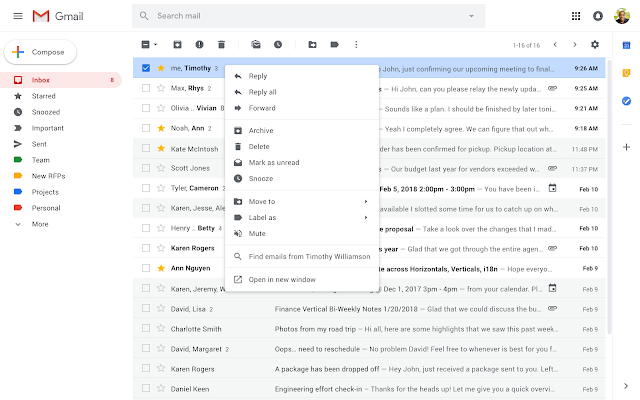 To continue to preserve messages in classic Hangouts, before April 16, 2019, you must copy any existing Mail holds (that apply to messages in classic Hangouts) to Hangouts Chat in Google Vault. Today, we’re launching a new feature in Vault to help you copy your holds from Mail to Hangouts Chat, with a few clicks. 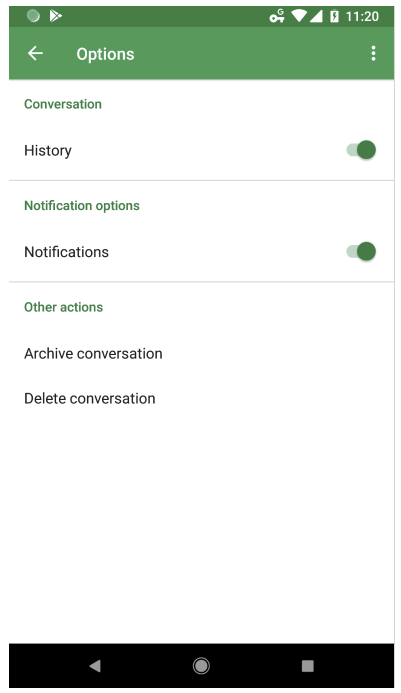 This feature helps you ensure all your messages in classic Hangouts and Hangouts Chat are preserved by the same Vault policies as your classic Hangouts messages are today. From the list of Vault matters, click on any matter that may contain Gmail holds. When viewing the list of holds in this matter, you can select multiple Mail holds at once. Select the Mail hold(s) and click Copy holds to Hangouts Chat. Note that Hangouts Chat doesn’t support holds based on date ranges or search terms, so they won’t be copied with the hold. You can also choose to extend these holds to cover conversations associated with these custodians in rooms. Additionally, if you have a large number of holds in place, you can also use Vault APIs to duplicate your holds in bulk. Available to G Suite Business, Enterprise, and Enterprise for Education editions, as well as G Suite users with the Vault add-on license. 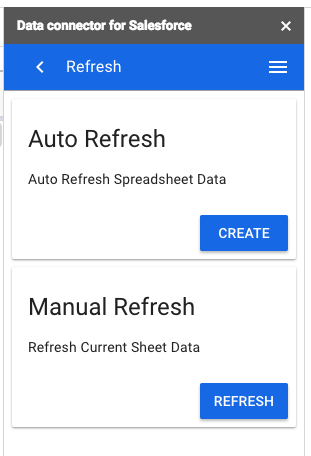 Check out the latest "What's New in G Suite" launch recap (pdf) for a roundup of all G Suite launches from January 2019.